Pursuing a professional degree can be extremely stressful for students, who often experience it as a time riddled with anxiety, uncertainty, fear and financial challenge. The emotional health of law students was recently brought to my attention in an email from a student at the University of Cape Town’s law faculty where I am the dean. The student noted a perceived hyper competitive, overly demanding and alienating environment. This, he told me, was putting the mental health of some law students under severe strain. He stated that because of the atmosphere, “the use of anti-anxiety and antidepressant medication has become the norm amongst students” and alcohol is being consumed in alarming proportions. The disturbing email had me pondering: was this an individual case of emotional distress or did it suggest a wider problem that required urgent attention? And what kind of attention? Is there something about law school in particular that drives its students to mental health problems and substance abuse? And, if so, how can it be addressed? In seeking answers to these questions I first looked into the University of Cape Town’s policies and practices on addressing mental health and substance abuse. I then began an investigation into the issue of mental health among law students specifically, looking at South Africa and other countries. Though most of the rigorous, scientific research on the subject has been conducted in the US, it does offer some valuable insight into what’s driving the issue and how it may be addressed. The American media has drawn attention to issues of substance abuse and mental health among law students and lawyers. One article written about the high instances of suicides among law students and lawyers cites a study by the American Psychology Association showing that lawyers are 3.6 times more likely to suffer from depression than non lawyers. In 2014 a comprehensive study, The Survey of Law Student Well-Being, was conducted at 15 law schools across the US. It was designed to examine and address the incidence of alcoholism and drug use, as well as mental health concerns of law students. The study found that a quarter to a third of law students reported misuse of alcohol and drugs, as well as experiencing mental health problems. What was particularly disturbing about the findings was that a sizeable group of the students experiencing problems were reluctant to seek help. The factors that stopped them included social stigma, potential threat to job status, financial reasons, the idea that they could handle the problem themselves, or not having the time. At South African universities, the question of student emotional wellness has been acknowledged and examined in some depth. 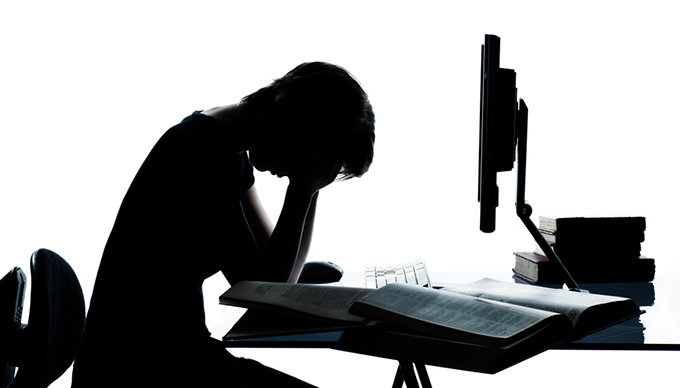 These studies do not focus on law specifically but anecdotal evidence suggest that some law students may be experiencing similar pressure, requiring both personal and professional support and care. All the signs seem to suggest that there is something particular to the education and training of lawyers that makes students and graduates prone to mental health problems and substance abuse. But knowing how to intervene requires a better understanding of what is driving this disturbing phenomenon. Studying law is fulfilling, rewarding and fun. But law studies are also academically tough. Success is predicated on hard work, long hours and emotional persistence. The skills of successful law graduates include resilience, perseverance and the determination and capacity to succeed despite obstacles. This is true of other professions, but law is distinct in a few key ways. In many ways law operates as an adversarial system with clear winners and losers. The combative prosecutor, the shrewd defence lawyer, the ruthless negotiator, the tough judge – these are all images of the strong, successful lawyer. Learning law therefore feels combative, not collaborative. This leads to a culture of competitiveness in law school, where the pressure to emulate successful lawyers is strong. The practice of lawyering is also a more public endeavour than in other professions. Lawyers are open to public ridicule. And because law students have to certify that they are “fit and proper” persons to practice they may feel particularly constrained to demonstrate any emotional problem, fearing that it may have an impact on their ability to be licensed to practice. They may also perceive seeking help as a sign of weakness – anathema to the perceived image of the strong lawyer. In response to the mental health challenges of its students, the University of Cape Town is pursuing a revised mental health policy for students that’s responsive to their needs and attuned to issues of inclusiveness and care. In the law faculty, in line with the broader university-wide initiative, we are focusing on the question of how to encourage students to seek help when they need it. This means making mental health services visible, accessible, affordable and socially acceptable. We are also addressing the way we teach law. Some aspects of the legal profession are inherently stressful. But our aim is to develop a caring institutional culture as well as solid academic support structures.